Over the seven years I have been publishing Jake's Rolex World, there have been certain famous people who I have seen, and thought, why don't they wear a Rolex? They would look great with a Rolex! One such person, I always hoped to see wearing a Rolex was Charlie Rose, but he always only wore skinny dress watches with his Ralph Lauren suits. Recently, I was watching Charlie Rose, and I was shocked to see him rockin' a Rolex DEEP-SEA SEA-DWELLER, D-Blue Dial Edition!!! 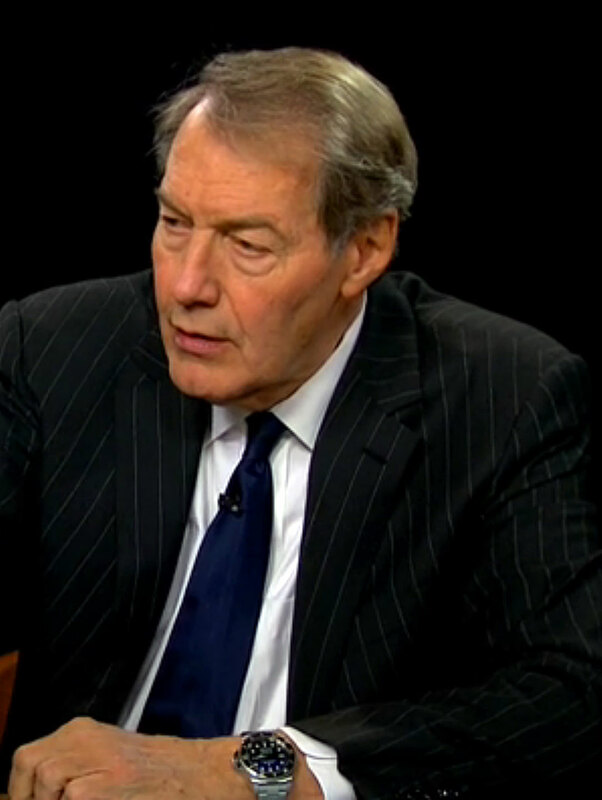 Charlie Rose is not only one of my role-models, but is arguably the greatest interview in history! Now if I could just find a photo of Cary Grant wearing a Rolex, I would feel like I chronicled every super-cool guy in history that ever wore a Rolex! 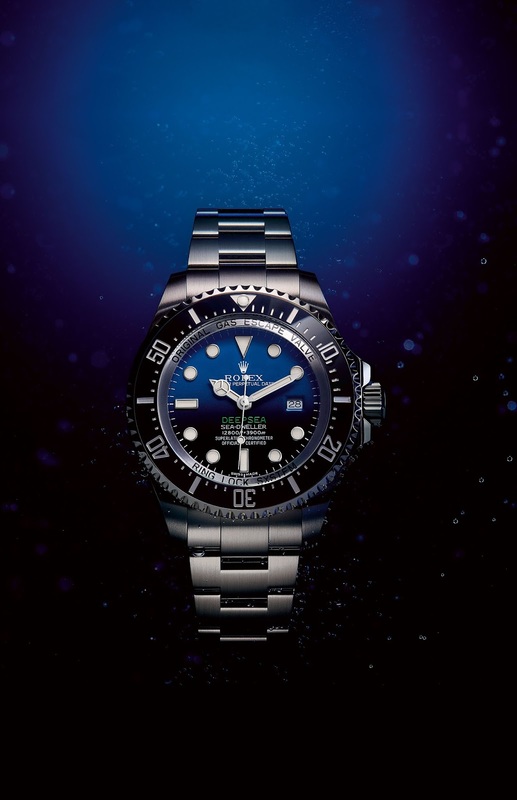 Rolex recently introduced the Rolex DEEP-SEA SEA-DWELLER D-Blue Dial Edition, and I covered it extensively. I was watching Charlie Rose interview Apple CEO Tim Cook, and in the second part of the interview, when he is done interviewing Tim Cook, he next interviews industrial designer Yves Behar, which was where I noticed Charlie wearing his Rolex DEEP-SEA. Ironically, the Tim Cook's very passionate interview begins with a discussion of the Apple Watch, which I have been covering extensively on Jake's Rolex World. 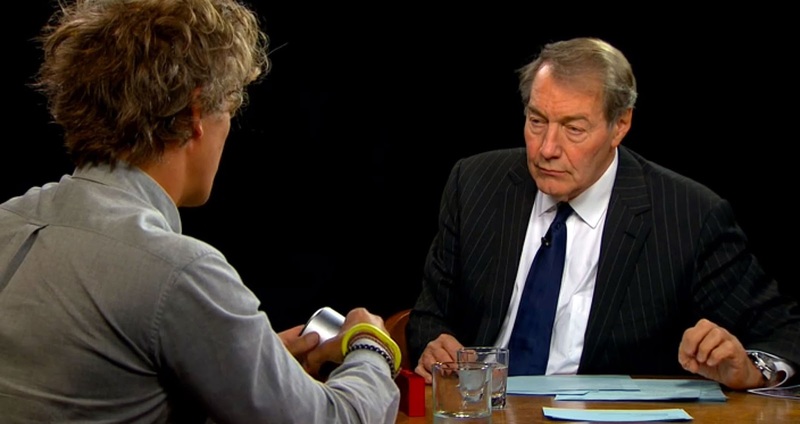 In the photo below we see Charlie Rose interviewing Yves Behar, and in this photo you can see the unmistakably unique side profile of the Rolex DEEP-SEA on Charlie Rose's wrist.